Professor Frederic Nabki received the B.Eng. degree in electrical engineering with Honors from McGill University, Montreal, Canada, in 2003, where he graduated with distinction. In 2010, he obtained his Ph.D. from McGill University on the topic of above-IC MEMS resonators for timing applications. 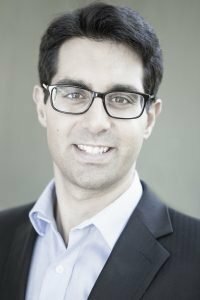 From 2008 to 2016, he was an Associate Professor in microelectronics engineering at the “Université du Québec à Montréal” (UQAM), and since 2016 he is an Associate Professor in electrical engineering at the École de technologie supérieure (ETS). His research interests include MEMS and analog, RF, and mixed-signal integrated circuits, specifically focusing on the creation of next generation MEMS processes and devices, the integration of MEMS devices with CMOS systems, the modeling of MEMS devices, and the design of integrated circuits such as phase-locked loops, sensor interfaces, and ultra-wideband wireless transceivers. Professor Nabki is a founder and the associate director of the institutional Research Centre on the Co-design and Fabrication of Microsystems at UQAM (CoFaMic – www.cofamic.uqam.ca), and jointly runs the Microtechnology and Microsystems Laboratory (Micro² – micro2.etsmtl.ca). He has contributed to two book chapters on MEMS resonators, published several MEMS and circuits publications, and holds multiple patents. Prof. Nabki currently serves as the Secretary of the Montreal Section of the Institute of Electrical and Electronics Engineers (IEEE). Dr. Nabki is a recipient of the Governor General of Canada’s Academic Bronze Medal. He has held funding from the Microsystems Strategic Alliance of Quebec (ReSMiQ), the Quebec Fund for Research in Nature and Technology (FQRNT), the Natural Sciences and Engineering Research Council of Canada (NSERC), and the Canadian Foundation for Innovation (CFI). Today, radiofrequency (RF) integrated circuits are a critical part of our communication. Since the sixties, the explosion of wireless communications has continuously enabled the exchange of more and more information. Whether it is radio, television, computers or cell phones, wireless systems have become ubiquitous in our lives. Higher performance and longer range transmissions, longer lasting batteries, cheaper and smaller devices: these all represent important and challenging research interests. The arrival in the eighties of microelectromechanical systems (MEMS) has rapidly changed a wide range of microelectronic markets. Whether it is integrated accelerometers in airbag deployment systems, micro-mirrors in digital projectors, or gyroscopes in video game consoles, MEMS are becoming more and more common. The integration of RF circuits and MEMS devices remains a relatively new domain which requires an expertise that merges two very different yet complementary universes. Both these technologies involve similar fabrication processes, but have yet to be unified. However, engineers can easily imagine how their functionalities could be combined to attain improved performance, smaller system footprints and reduced costs. One can ask many questions: How are these technologies to be integrated? What new functionalities can a hybrid system yield? What are the miniaturization and cost reduction limits that can be achieved by combining traditional systems with MEMS? How will these technologies evolve and merge? 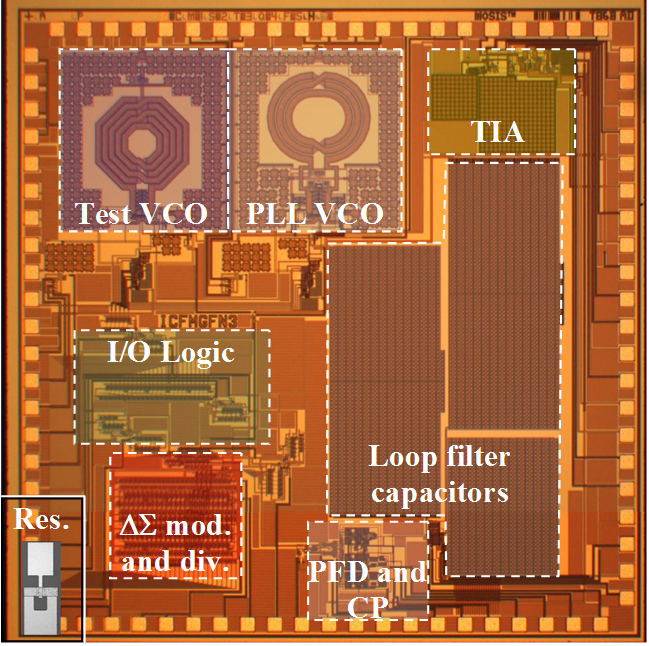 This research project, under the direction of Prof. Frederic Nabki, aims at answering these questions, with the goal of advancing RF integrated circuits and MEMS devices, while studying ways of combining them to reach new and exciting possibilities.